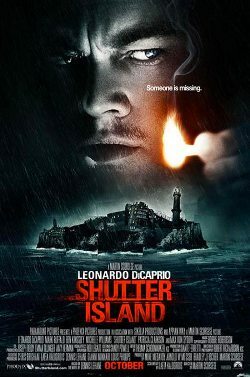 From Oscar-winning director Martin Scorsese, Shutter Island is the story of two U.S. marshals, Teddy Daniels (Leonardo DiCaprio) and Chuck Aule (Mark Ruffalo), who are summoned to a remote and barren island off the coast of Massachusetts to investigate the mysterious disappearance of a murderess from the island’s fortress-like hospital for the criminally insane. While not a horror as such, this has enough elements to warrant inclusion in the tail end of the genre, the end that becomes pure thriller. And what an excellent contribution to the genre this is. Shutter Island and Inception are like two sides of the same cinematic coin and it’s interesting that Leonardo DiCaprio should star in both. The stories bear some comparison, not least with the lead character being a widower still dealing with grief and letting it dictate his perception of a mystery. Perhaps the only fundamental difference is in the telling of the story. While Inception is very much a modern filmmaking style, especially prevalent since The Matrix, making the viewer gasp at spectacular set-pieces while leaving intriguing questions unanswered, Shutter Island is a decidedly old fashioned, unashamed b-movie. It is structured in a meticulous manner, as you would expect from Martin Scorcese. He turns the screws on the suspense, leading up to a stunning reveal. You won’t be left asking what happened, but you’ll race to see it again to learn exactly how! And because it is very much an actor’s film, you’ll be treated to consummate performances that reward being watched again. DiCaprio delivers an intense performance you can’t ignore in what is after all a genre role that he could have easily got away with phoning in. As he so often does, he works potential out of every scene and finds subtleties to hook you with time and time again as Teddy finds the awful atmosphere of the asylum forcing him to face up to his grief. But as I said, this is an actor’s film anyway and all the cast are superb. Mark Ruffalo as Teddy’s partner is especially impressive, as is the hard to read Dr. Cawley, played by Ben Kingsley. Another worth noting is Jackie Earl Hayley, who has the briefest of moments as one of the unhinged inmates, but leaves a mark. The story of US Marshalls investigating a missing patient and uncovering a potential conspiracy of medical experimentation was adapted from Dennis Lehane’s novel, so it should be no surprise that there is such depth to the characters. His skill is in taking straightforward thriller plots and making them relevant and substantial (Mystic River, Gone Baby Gone) without losing the pace. Martin Scorcese compliments the story perfectly and this is probably his most playful film since Cape Fear, with some moments bordering on fantasy, like Teddy’s nightmares achieved with just the right amount of CGI. He was somewhat inspired by Val Lewton’s work of the 1940s (Cat People, Bedlam, etc), a producer he has championed in the past, and one who worked fast and cheap with b-movie plots, yet always had a very strong human element that made them an invaluable step in developing the Thriller genre. It positively drips with atmosphere from that era. The opening shots are especially reminiscent of Lewton’s Ghost Ship, as the ferry carrying the Marshalls emerges from the mist. Scorcese with Director of Photography Robert Richardson (Inglourious Basterds) has created a film that defines sumptuous, despite the muted palette. It seems the aim in modern filmmaking to make the audience question what they see. People are still talking about Inception, trying to interpret how the story unfolds, trying to work out Nolan the Magician. Shutter Island is reassuringly old-fashioned with a rigid screenplay that stands up to scrutiny, but don’t scrutinise it while you watch it, just enjoy it. The work going on between the cast and their director is superb, with them adding so many grace-notes that a second viewing is essential. While not as grand as Inception, I’d argue this is may be the better film. I liked the enigmatic setup of the first half hour or so, but the more the movie is concerned with showing how the puzzle pieces fit together the less interesting it became to me. Or, as A.O. Scott put it in the NY Times: "Something TERRIBLE is afoot. Sadly, that something turns out to be the movie itself." There are certain shots that are amazingly beautiful, a great soundtrack (Ligeti! Penderecki! Cage!) and good performances, but overall it remains an empty, almost clinical exercise in meticulous craftsmanship. In that it reminds me more of Winterbottom's The Killer Inside Me than of Inception.